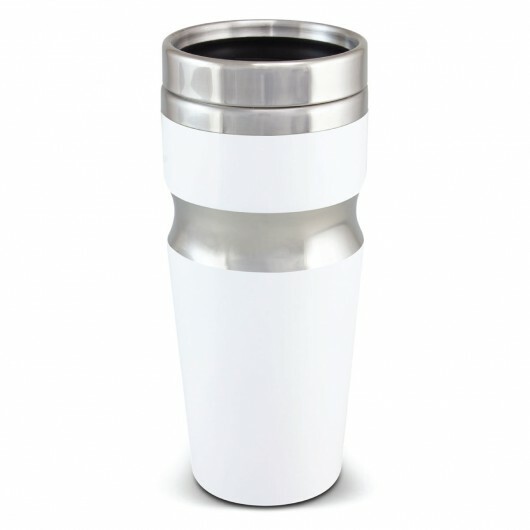 XD Design have outdone themselves with these on-trend travel tumblers. 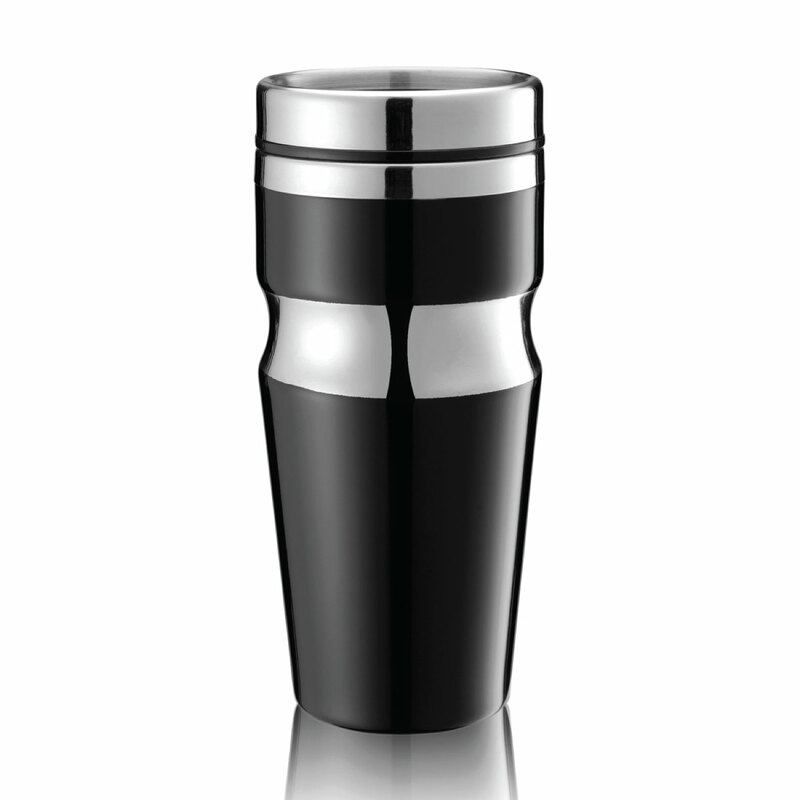 A premium gift idea that will leave a lasting impression. 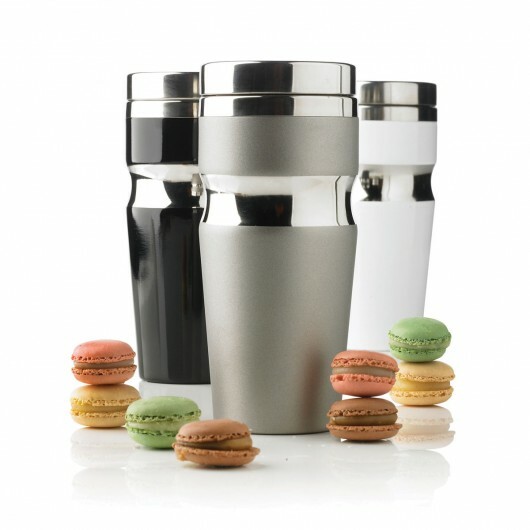 Sophisticated, smart and branded with your logo or message these 350mL double wall tumblers are a brilliant gift idea. 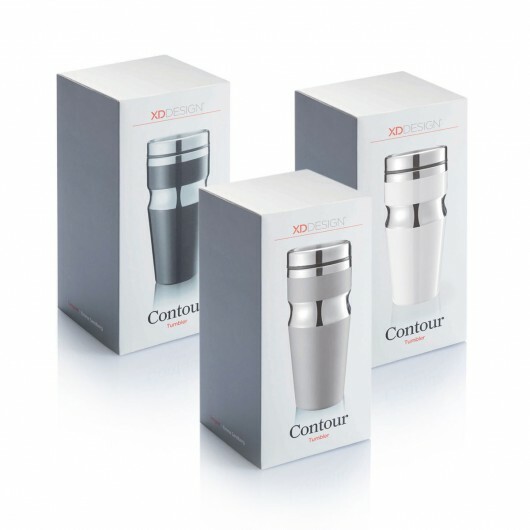 They are created by XD design and come presented in an XD gift box for a retail like feel. 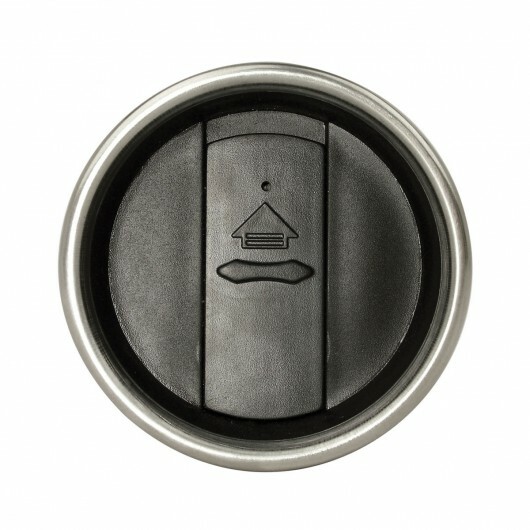 The outer wall is made from stainless steel with a polypropylene inner wall. 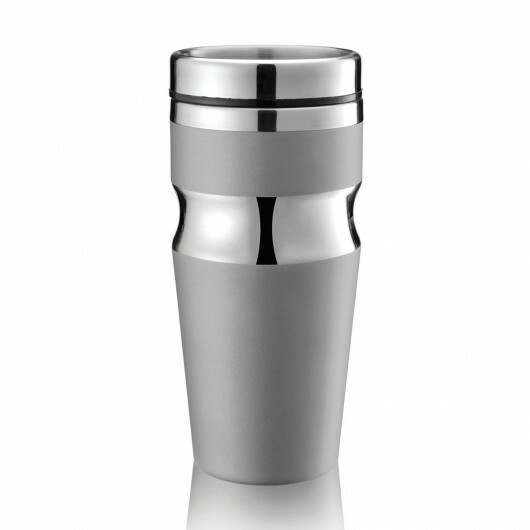 The tumbler has a delightful shiny chrome accent and a secure push on lid with a splash proof closure. It laser engraves to a stainless steel finish, is BPA free and handwashing is recommended.